For as many times as I’ve been to France, I’ve only been outside Paris once. As we made our way to Corsica, we stopped for two nights in Marseille, in the south of France along the Mediterranean Sea, France’s second largest city. We left Paris on a high speed train, the TGV, from Gare de Lyon and arrived mid-afternoon into Marseille. We spent the first half day walking around the Old Port of Marseille, Vieux-Port. We fit in two boat tours and one hop-on/hop-off bus tour. In Marseille we went on two boat rides. I went in the front and it was so fun because the waves would push the boat up and it felt like you were flying! 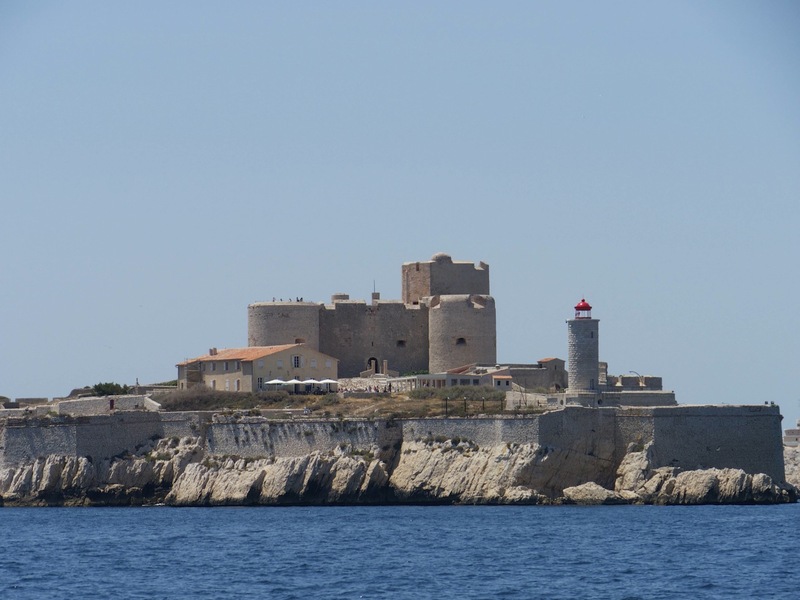 The first boat went to a small island to see a small prison [Château d’If]. My dad said it reminded him of the Alcatraz of Marseille. In 1844, Alexandre Dumas published The Count of Monte Cristo which was an instant success. In the book, the hero, Edmond Dantès, is imprisoned on the island. The second boat went almost to Corsica (or that’s what it felt like) and then came back [it was a tour of Les Calanques, “a ruggest coastal area interspersed with small fjord-like inlets”, around the coastline of Marseille]. The next day we went to a ferry boat to Ajaccio, Corsica. Getting to the boat was an adventure! Someone told us to walk one way, then another man told us to walk back, then a lady told us to walk all the way back (at this point my mom was super mad). My mom went to some taxis to ask them to just drive us and all of them said “no”. Then a security guy yelled at them and then we got a ride.